Cockpit setup showing USB charger (silver), switch unit, light (Gold) and GPS. Coles deli Kransky in Bike Bag Dude chaff bag is an optional extra. As some of you may be aware, I've been running K-lite dynamo charge and lighting system for 2 years now, and after a number of refinements the system is now dialed enough that I feel the world should know about its awesomeness, largely because it makes endless riding possible. If only humans didn't need sleep and food. Lots of food. One of the foods I enjoy is chocolate, and for the purposes of this post, let's imagine the system as a chocolate factory, only staffed by one Ollie rather than an army of Oompa Loompas. The options are endless and Kerry is always willing to indulge your desires, but this is the simple and sturdy setup which I've arrived at which suits my needs to tee. The chocolate heating boiler of the system is the proven SP Dynamo hub, sucking out a measly 3 watts and delivering AC power (melted chocolate) in spades. While light as a feather and world leading in efficiency, the hubs don't have replaceable bearings without a trip home to the factory. This means that when they finally do go, you'll need to rebuild a wheel. For me this is not a huge deal given my rim will likely be trashed at that stage due to frequent over the bars (OTB) excursions. A chocolate transmitting pipe in the form of a wire runs up your fork leg and connects to the molten chocolate diverting switch box which allows you to choose lighting, USB charge or neither. 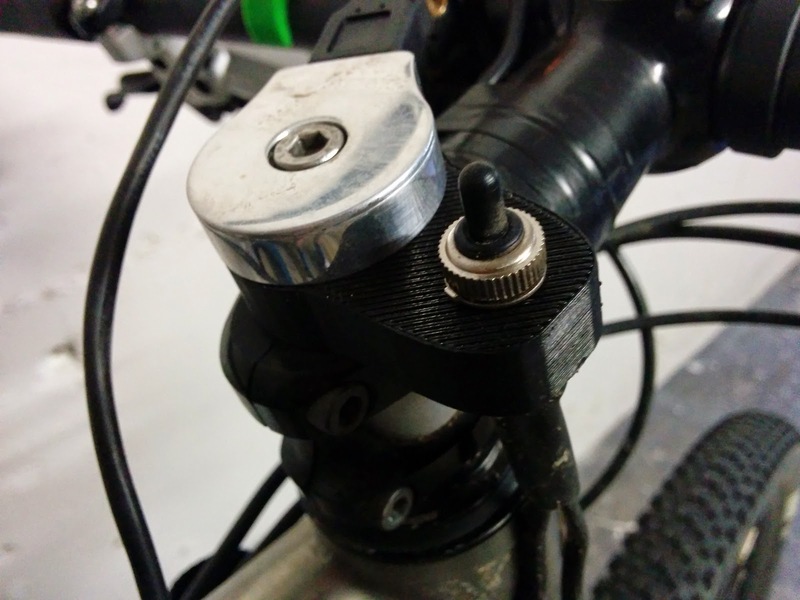 A plug at the hub allows for easy wheel removal. This switch delivers chocolate (electricity) to wherever you desire. 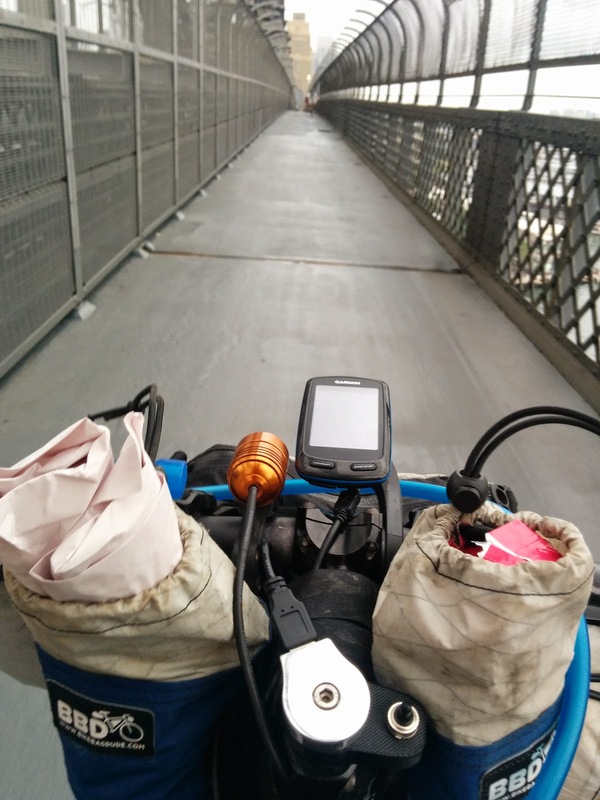 Sitting on my topcap is a Sinewave Reactor, the brains of the system which takes the wildly varying flow of chocolate from the hub and makes a nice steady USB output (like a Toblerone) which will charge your phone, GPS, a backup battery or even a desktop missile launcher -a bikepacking essential! 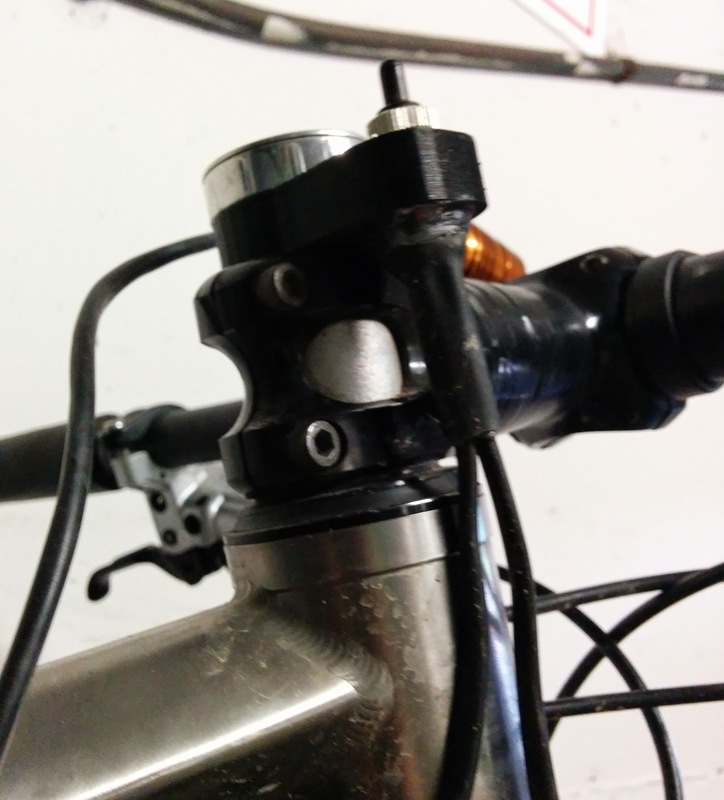 Through some Kiwi ingenuity, Kerry managed to integrate the reactor with the switch, making for a very tidy setup which means that no wires need to come up through the crown and up the bottom of the steerer tube. Solid crown carbon fork owners rejoice! 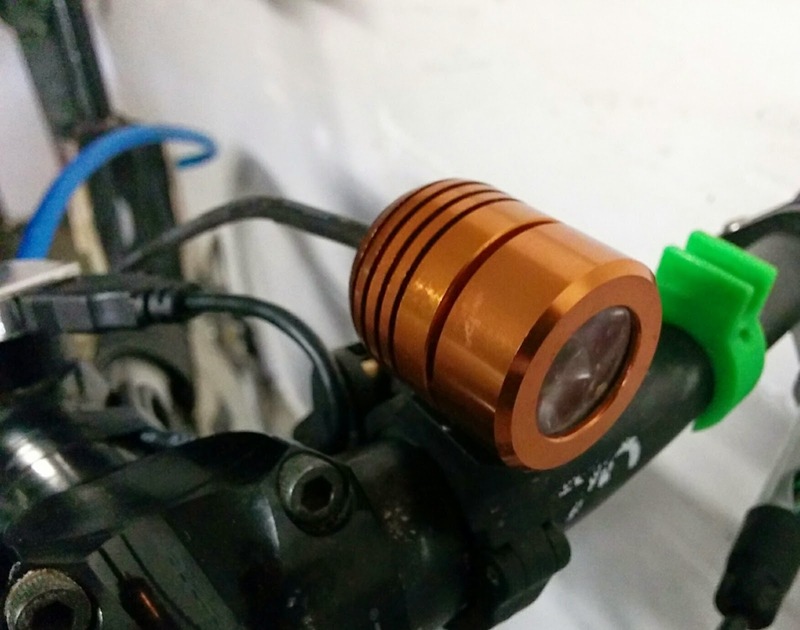 Choose lights or USB function with this stem located switch. All wires pass outside the steerer. After some difficulty finding a reliable buffer battery, I've ended up doing without and have found that the smooth output from the Reactor is sufficient. If the incessant 'External Power Lost' screen on my Garmin becomes too much, I simply switch the charger off and wait till my speed is up again. Using an out-front Garmin mount, I can get my Edge 800 GPS positioned well clear of the charger, and with a stubby USB cord I can get the current were it needs to be. Excess cord is simply taped to the stem. If I throw the switch the other way, the USB goes off and chocolate is transformed into a chocolaty sun-like spray of 1100 lumens of glorious LED light, which often sends kangaroos scampering. Having this much light on tap is fantastic especially during the late hours of the night when sleep monsters begin their reign of terror. A small cylindrical rectifier is all that is required for my single level setup (stored in my frame bag), but standlites and dimming switches can be added to give you the ultimate in lighting control. 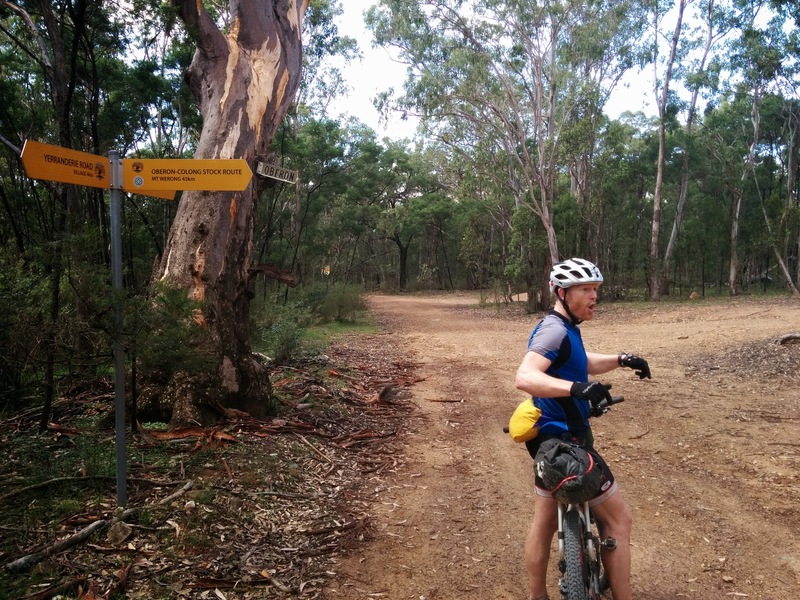 If the trail heads upwards and my fatigued legs can't muster more than the 7 km/h which the system starts to flicker at, I just switch the light off and rely on my helmet light. Switching it back on when the trail turns downhill. Running the system whilst on the trail is far from a chore, if anything it is a welcome relief during sections of dull trail. 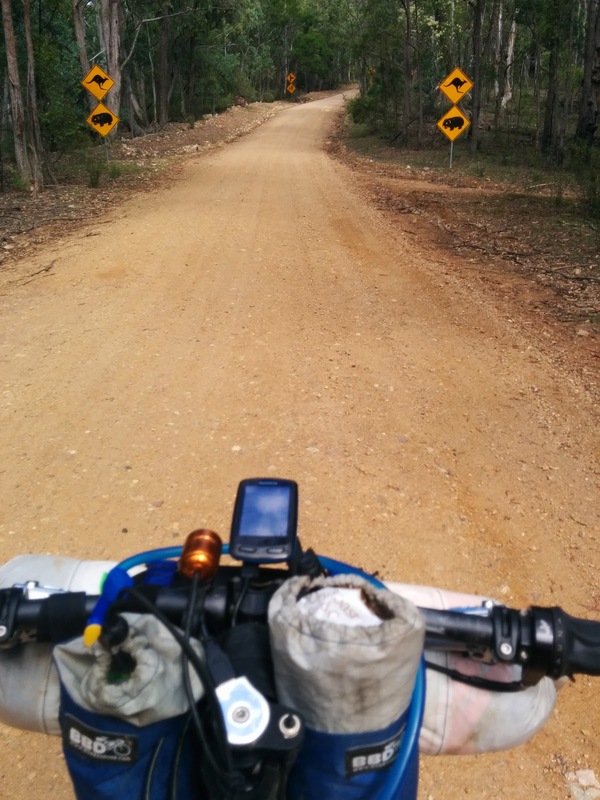 Provided you keep the GPS sufficiently charged, there really is nothing to told you back from endless riding. Good story. 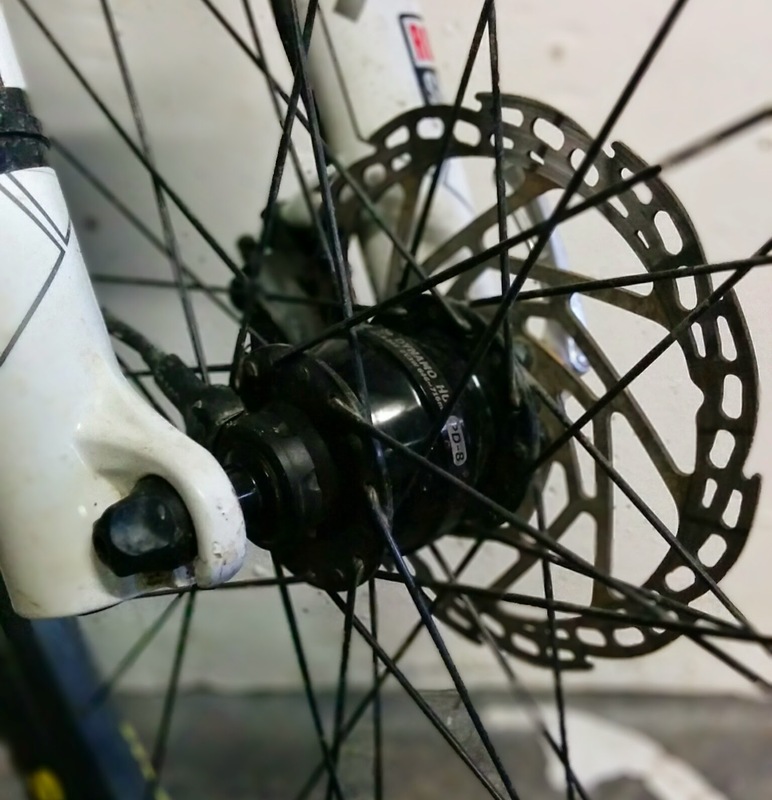 I'd love a photo showing your wire routing from the hub up the fork to the switch though. I'm trying to figure out where I need slack and how best to handle a suspension fork. Learning from your experience would help. I ordered mine a few weeks back and am just waiting for the Oompa Loompas to supply the hub. Reading this just ups the ante and I can't wait to get it on the trail. Such a legend at writing too!! Liztek is the manufacturer and seller of Multi Port USB Charger Hub . Buy now Liztek 4, 5, 7 10 port hub from Amazon.